Hello Jets Fans!! Introducing your franchise leader for passing touchdowns in a single season . . . Ryan Fitzpatrick! Congratulations to Fitztragic as he completed his second touchdown of the game and surpassed the elite company of Vinny Testaverde as the franchise leader in passing touchdowns in single season. Gang Green can make personal changes, they can switch their coach, they can change quarterbacks but the true spirit of the Jets franchise once again trumps all as the Jets lose to the Buffalo Bills, a team merely playing for pride. What a stat line for Fitztragic. He completed 16 out of 37 passing attempts. Shame on the offensive coordinator for letting him throw that much while Chris Ivory got a mere 6 touches. The Bills powerhouse offense (psych) did their part in keeping the Jets in the game scoring just 22 points. Even with Fitzpatrick’s garbage stat line he had 3 chances to win the game, and in the most classic Jets fashion he threw a pick in the endzone, a pick on the succeeding drive, and a pick in desperation mode to put the finishing touches on a very Jet season. Strike one, two, and three the magic is gone and the endless quarterback dispute continues for Gang Green. It amazes me how hard Jets fans were riding this mediocre QB all season long. They coined the term “Fitzmagic” and the media ran with it. The term Fitzmagic, although fun to say, says a lot to me about the perception of the franchise. Heaven forbid you win a game by controlling the game, smart play calling and good decisions made by your QB. The Jets start scoring touchdowns and winning games and they credit it to magic because believing that you beating opponents because you are a superior team is simply not in the Jets DNA. They are still the little brothers borrowing Metlife (Giants) Stadium. This Jets stigma is seemingly impossible to overcome. This game was unfortunately way too predictable. As soon as they beat the Patriots last week I started thinking how classic it will be for the Jets, with their season on the line, to lose to a team that is playing for peanuts. And Vuola! Fitztragic blows the game with 3 consecutive interceptions. First, lets combine a losing QB with a losing franchise. Second let’s set the oven to 420 degrees and wait 16 weeks. Everyone thing looks great through the first 3 stages of the baking period. You open up the oven and your whole family is excited to eat but the baking pan slips out of your hand and crashes to the ground. Dinner is ruined and so is another season for the Jets. Ryan Fitzpatrick you have entered QB purgatory. You have 2 years of spot starting before you inevitably become a back-up or start analyzing games on MSG. 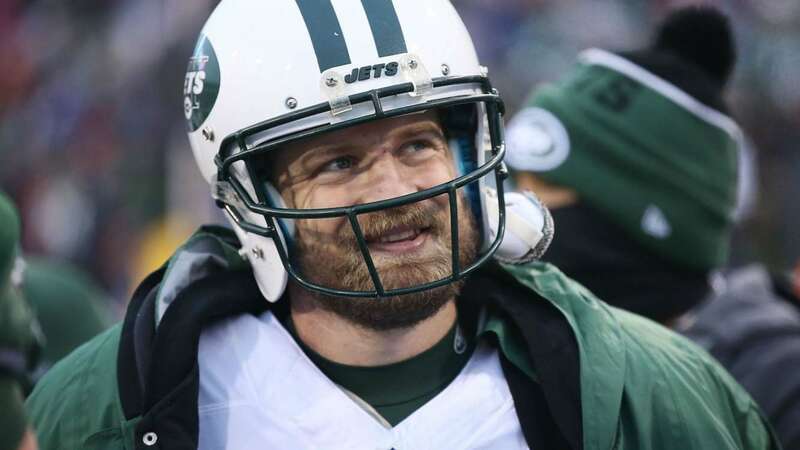 The New York Jets, where quarterbacks go to die. Sidenote: How pumped is Rex Ryan right now?